My aunt recently purchased a slide and negative scanner, so my family has been skipping down memory and returning to our roots. This is where I came from. 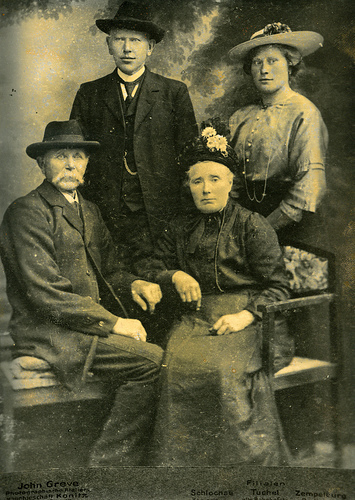 My great-grandmother in Poland – rear right. 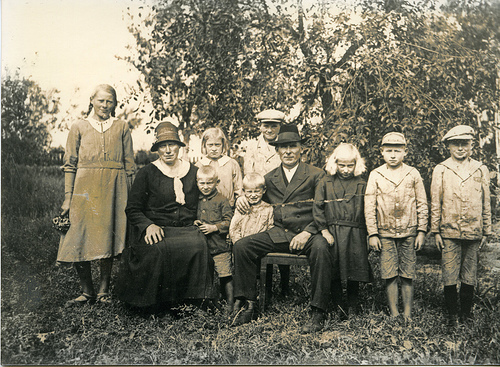 My Oma in Poland – rear row, third from the left. My Opa in Czechoslovakia – far right. 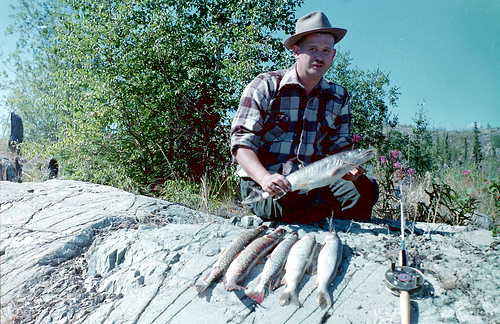 My Opa in Yellowknife, Northwest Territories – early 1950s. 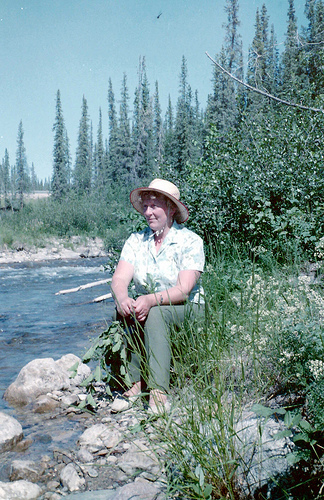 My mother in Yellowknife, Northwest Territories – early 1960s. 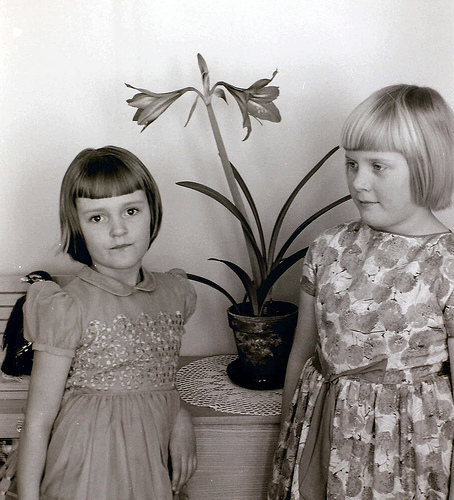 My aunt and mother on Easter Sunday in Yellowknife, Northwest Territories – early 1960s. 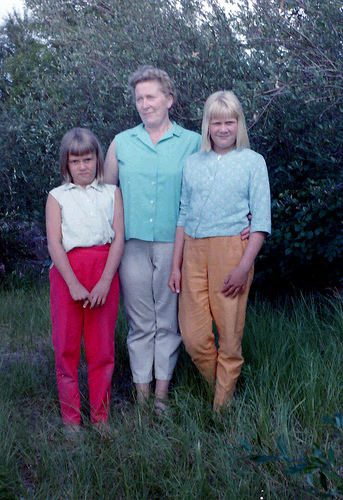 My aunt, Oma and mother in Yellowknife, Northwest Territories – early 1960s. 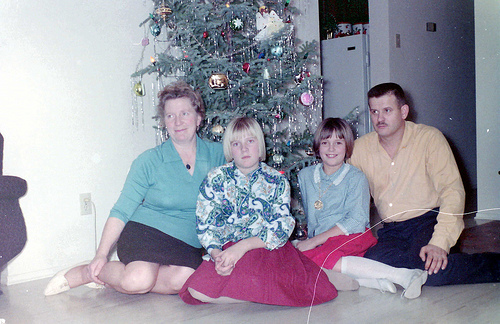 Family Christmas in Yellowknife, Northwest Territories – early 1960s. 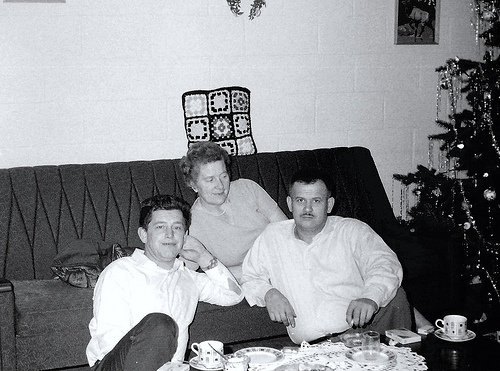 Uncle Alfons, Oma and Opa on Christmas – 1960s. My Opa in Yellowknife, Northwest Territories. 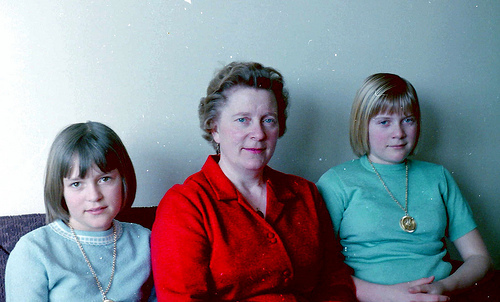 Aunt, Oma and mother – mid 1960s. 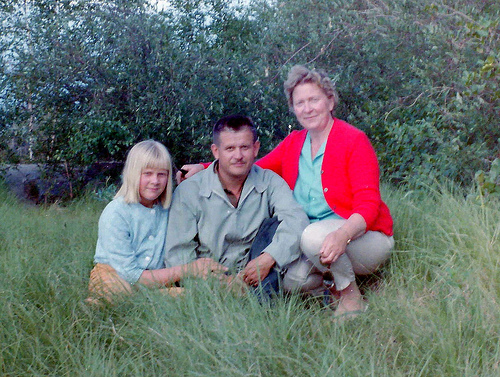 Aunt, Opa and mother – mid 1960s. 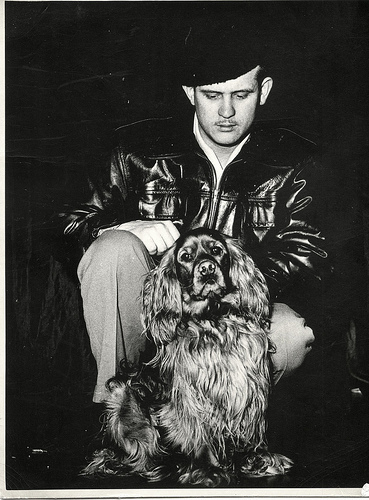 My Opa was a ridiculously handsome man. 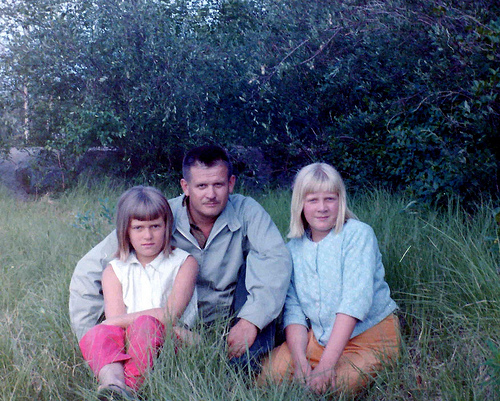 Mom, Opa and Oma – mid 1960s. 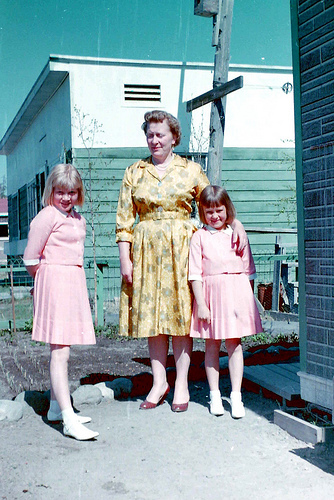 Mom, Oma and aunt on Easter Sunday – early 1960s. 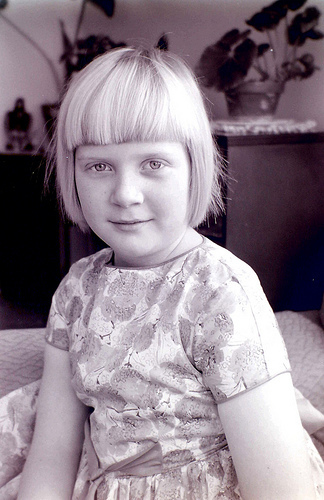 My beautiful Oma – it was always important to her to look poised, refined and elegant. 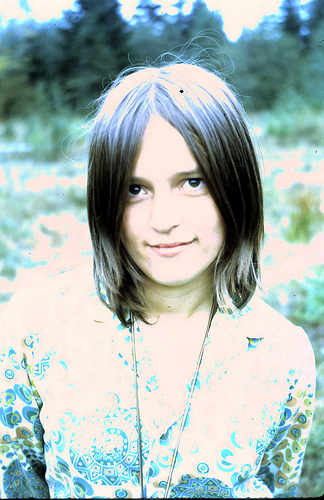 My Aunt Anne in the Comox Valley – early 1970s. 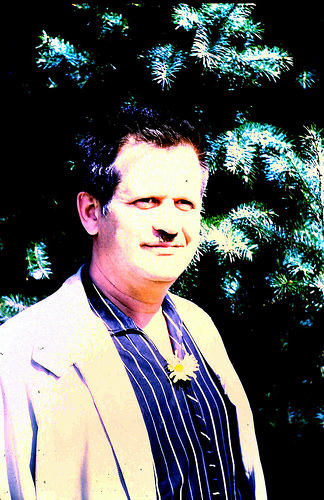 My Opa, always humourous (check out the flower) in the Comox Valley – early 1970s. 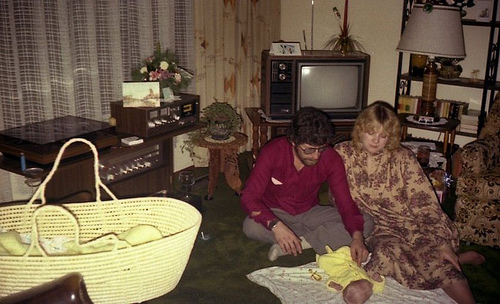 My father, mother and I soon after my birth, Comox Valley – 1980. 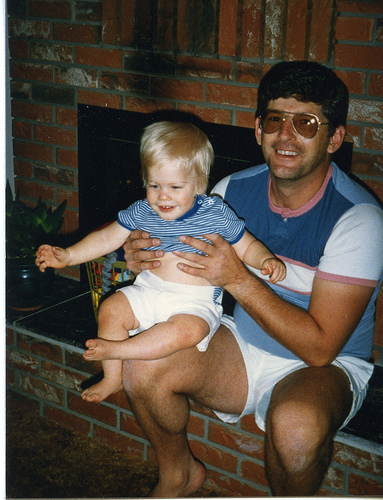 My brother and father – mid 1980s. 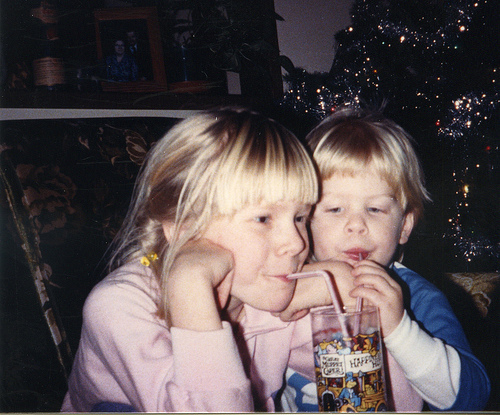 My brother stole my Red Sprite. 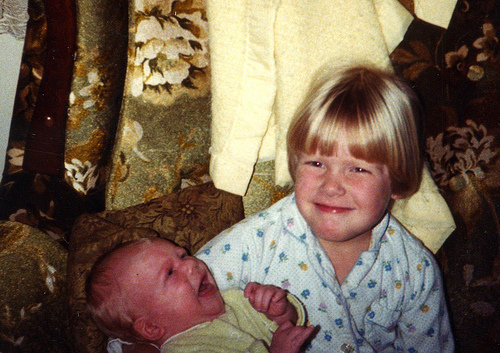 I was a pretty proud sister (note the Billy Madison-esque expression on my face), 1984. 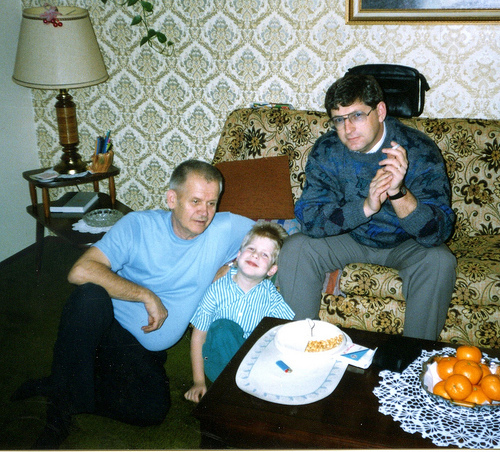 My Opa, brother and father in the Comox Valley – late 1980s. 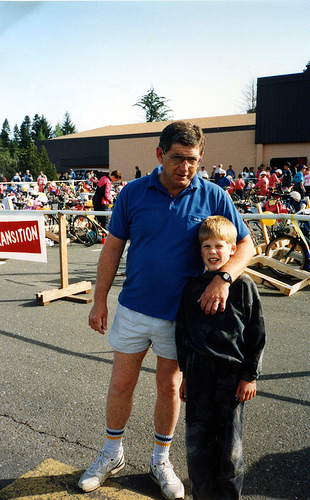 My father and brother at the Comox Valley Tri-K, 1990. 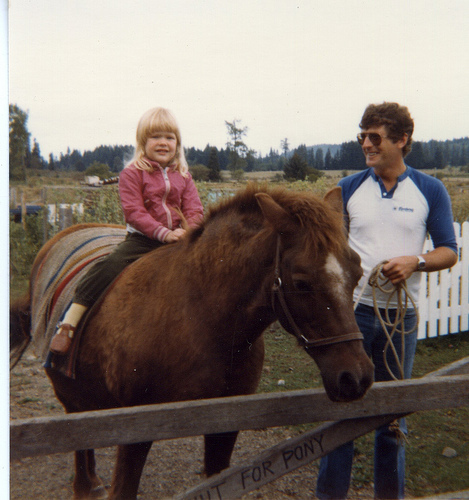 My father and I in the Comox Valley – early 1980s. 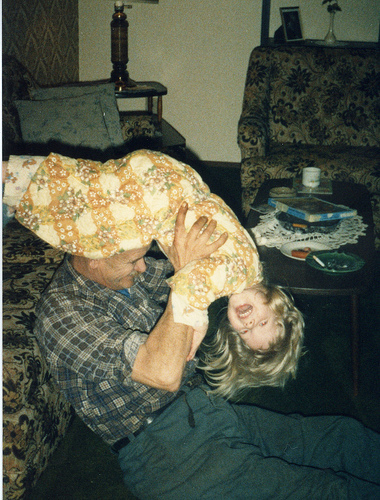 I was my Opa’s special little girl. Our relationship was truly like no other I’ve ever had or will ever have again. Making each other laugh was our favourite thing to do together. 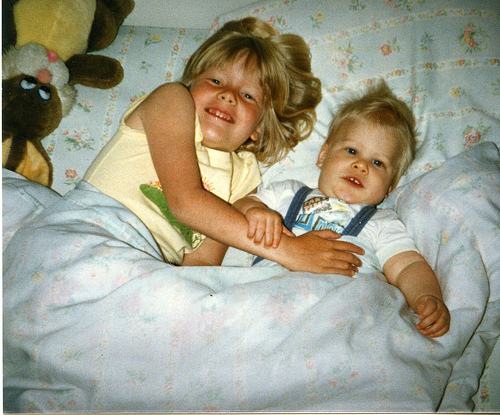 My baby brother and I were little cuddlebugs. 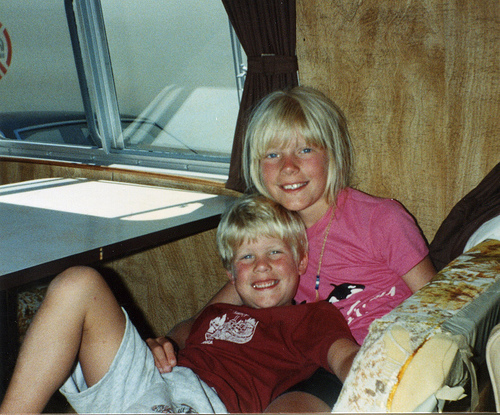 Camping on Hornby Island (check out my schweet rat tail – clearly this was in the NKOTB era). I love my family with my whole heart. I could not ask for a single thing better. 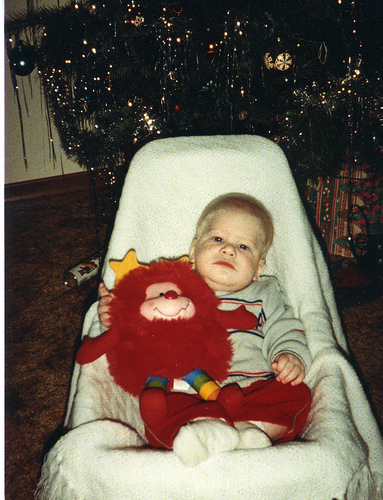 The scan quality is awesome – love your mom’s looks throughout the years too, that’s one fine bunch of family. 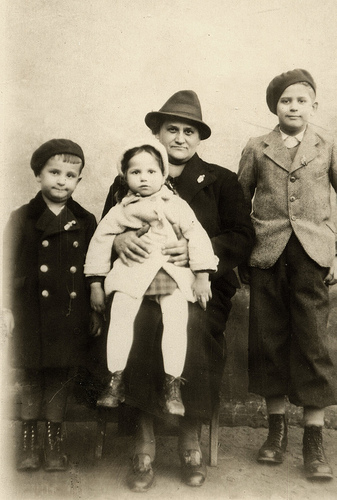 I always love old pictures..
Have a nice family is the most important thing in the world.. The ‘Hornby’ pic is one of my favorite photos of you and Trev. I have to agree with Rebecca, the scan quality is great! 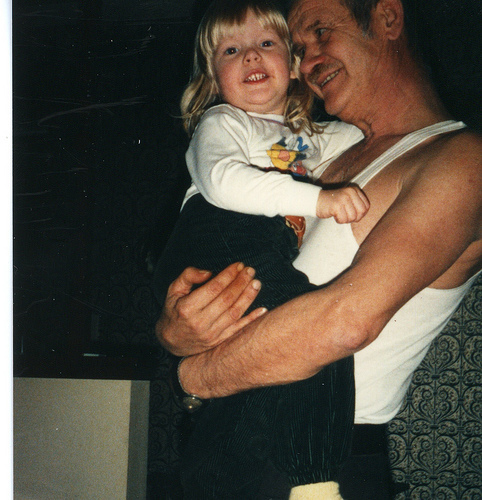 I love finding and looking at old photos. Perhaps one day I’ll buy a scanner and get them digitized! I dig the blunt haircuts. Channeling a little Uma Thurman in Pulp Fiction. I love those old, authentic photos. They look lovely. I wish I had photos of my family like those. You are a very lucky girl Keira. Family is the best. Loved the photos, Keira!! not very into smiling back then eh. cute nostalgic post.